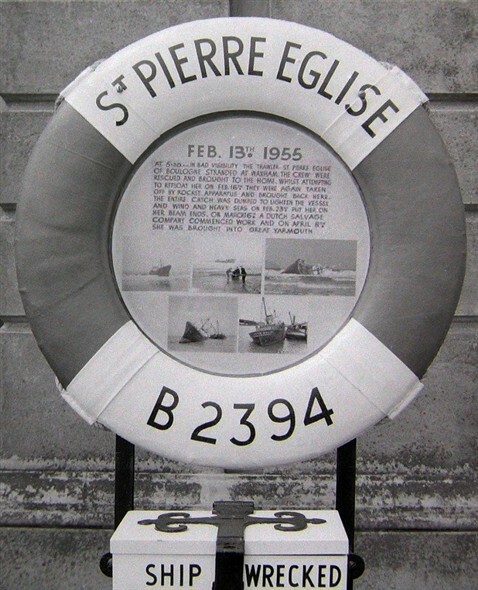 On February 13th, 1955, at 5.30 am, in bad visibility, the Trawler 'St Pierre Eglise' of Boulogne was stranded at Waxham. The crew were rescued and brought to Yarmouth Shipwrecked Sailors Home. 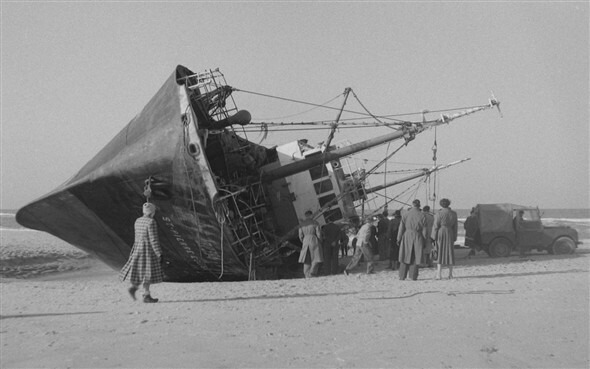 Whilst attempting to refloat her on February 16th, the crew were again rescued, making this event unique, in the crew having to be rescued twice within three days, from the same shipwreck. 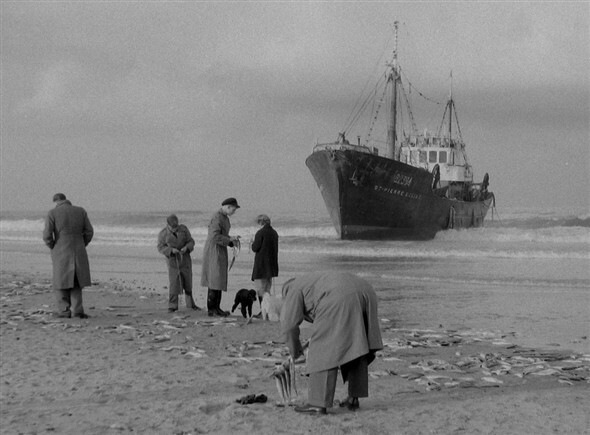 The entire catch was dumped to lighten the vessel, and many locals scavenged the fish. On February 23rd, wind and heavy seas put her on her beam ends, at which time it looked like it was the end of the vessel. 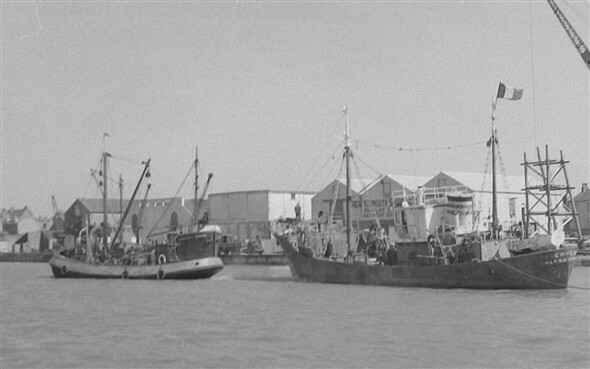 However, on March 16th, a Dutch salvage company commenced work and, on April 8th, she was brought into Great Yarmouth, where she was made seaworthy at Fellows Dockyard.